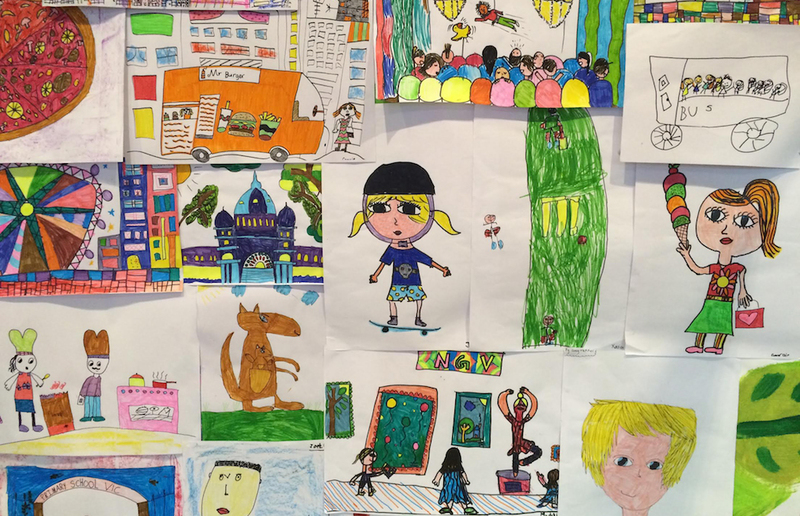 Colour Melbourne is the world’s first colouring book made entirely by children. Fifty-five children artists aged between three and ten years old have made this creative and very original book. Following a successful crowd funding campaign Colour Melbourne was published in September 2016 by children’s author, Joanne O’Callaghan, and Julie Kennedy of Pip Dot Art Studio.